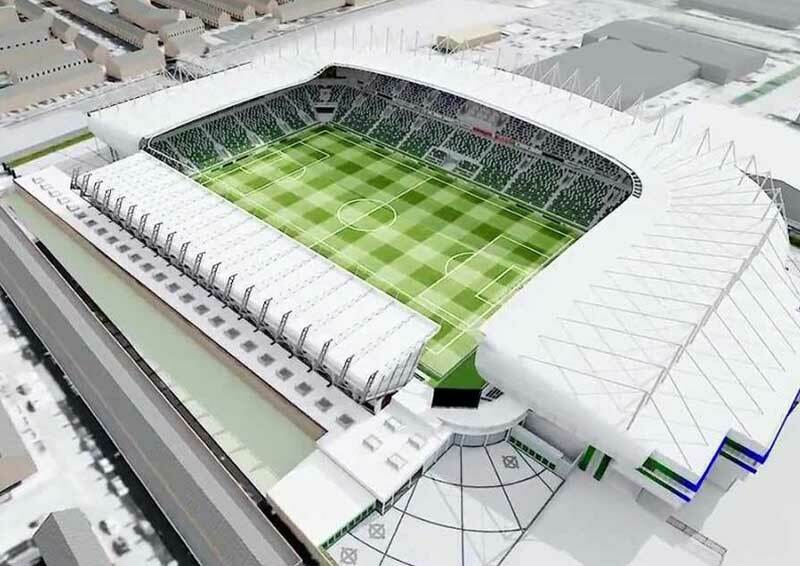 The Irish Football Association (IFA) national stadium project at Windsor Park is due to be completed in late 2015 and will have a capacity of over 18,000 seats. refurbishment of the seating in the West and North Stands and replacement of flood light mast with the new floodlighting integrated at roof height. The new headquarters for the Irish Football Association will be in the East Stand, and the international match day, corporate hospitality and conference facilities will be located in the South Stand.